Name Reading Groups to Teach Extra Stuff! When I first started teaching, I didn’t know what to call each reading group. Although students are grouped by reading level, you can’t name them with numbers or letters (or anything that indicates one’s higher or lower than another, even though students will figure it out eventually). So I chose animals our school had die-cuts for. But I wish I had heard of this idea before I named the groups! 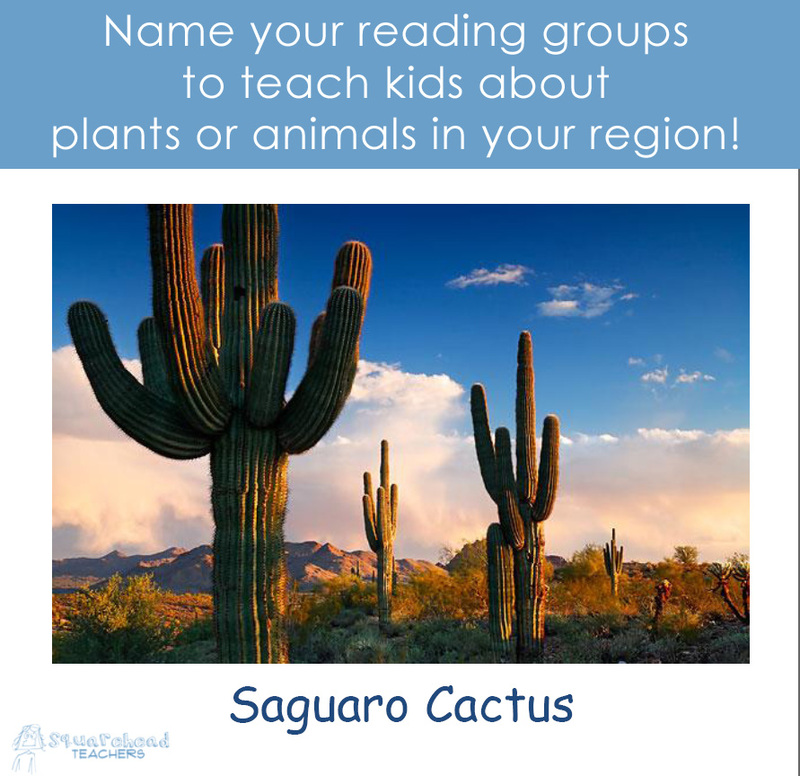 One Arizona teacher names her groups after the various desert cactus plants in her region. She teaches the kids how to pronounce them and has a picture on the wall next to the name, so the kids will become more educated about their region! So smart!! Here are her posters of the cactus reading group pictures. This is a great way to sneak a little extra learning into your classroom. This entry was posted in Bulletin Boards/Walls, Classroom & Decor, Literacy Centers, Reading and tagged Children, Education, Elementary School, Homeschool, Kids, Reading, reading groups, Teacher Resources, Teachers, Teaching by Squarehead Teachers. Bookmark the permalink.